Press Release - Belize Institute of Mixology – August 19, 2014 – Belize Institute of Mixology (BIM) is a locally owned Bartending teaching company. 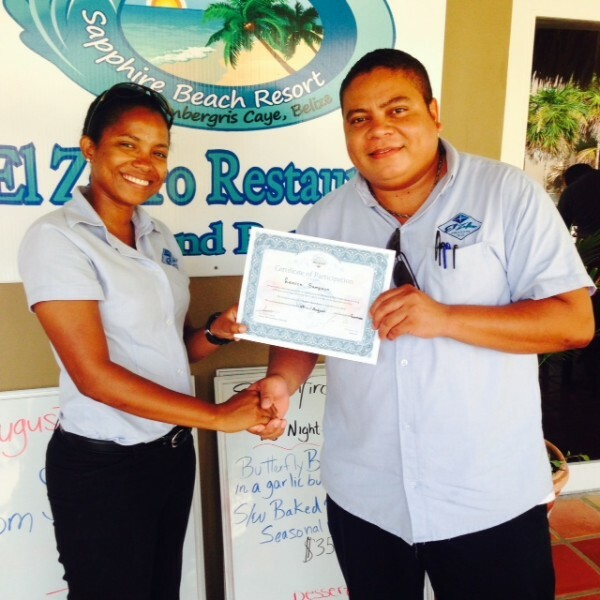 It recently held a Flair & Mixology Crash course at Sapphire Beach Resort on Saturday August 9th. Guest instructor was Mixologist Fermin Cho'c of Turtle Inn. 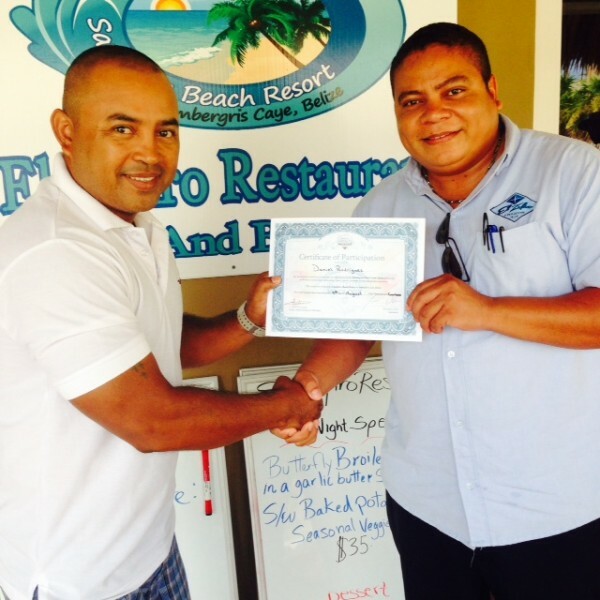 Mr Cho'c is the winner of the annual Taste of Belize Bartending competition as well as the Sugar City Rumfest mixology competition. He learned his trade in Florida by the American Bartending School. BIM plans on offering two fully rounded courses: Introduction to Bartending and Advanced Bartending. These courses will include presentations from guest instructors in the field of wine, beer, rum, and of course flair. Each course will be for five days and will also include a doctor as guest instructor on alcohol awareness. Power point presentations and practical hands on training will ensure student participation. This is the culmination from over 18 years in the hospitality field and the team is very excited to play a small part in the enhancement of Belize's tourism product. 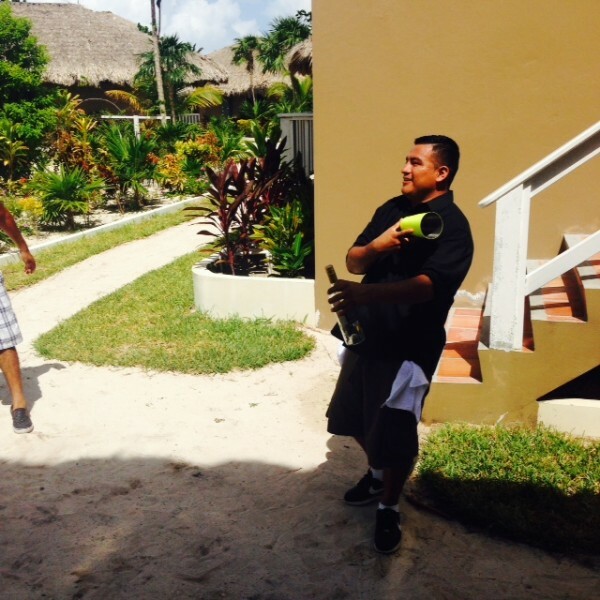 Our aim is to be original and fully Belizean but meeting international standards in all regards. 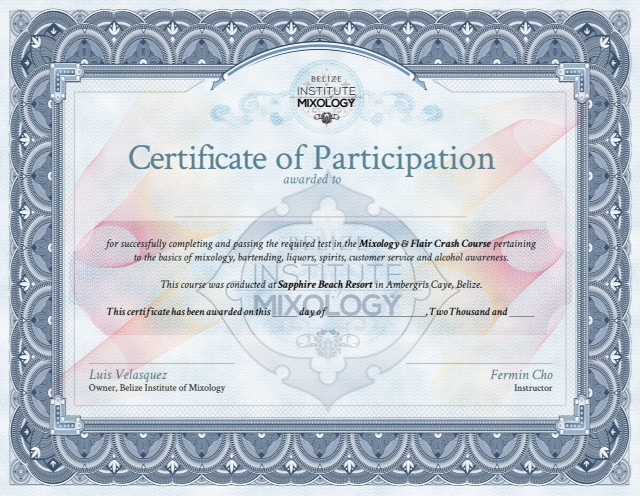 Certificates will be issued upon completion. Our course in San Pedro will be held in September. Please call 662-2616 or 626-7518 or email [email protected] for further information or to sign up. Letter to the Editor: Planned Stray Poisoning?